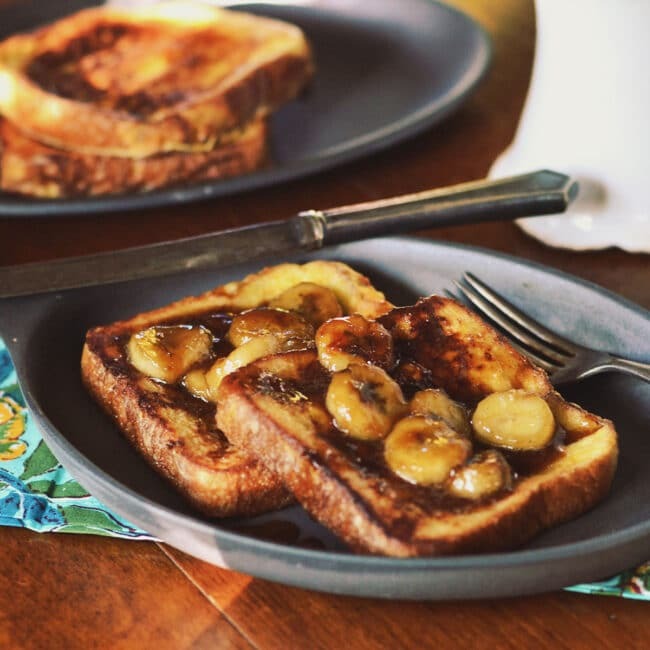 Caramelized Banana French Toast is a decadent french toast with homemade caramel sauce and bananas, an easy to make gourmet breakfast you can make at home. I have an epic french toast for you today! A few weeks ago, Allison and I enjoyed a late breakfast at The Original Pancake House, if you are ever near one, I HIGHLY recommend stopping in! Just note, they are closed on Mondays. We are right by one every month on a Monday when we take Cullen to the groomer, so last month I switched our grooming day to Tuesday, just so we could have breakfast at the Pancake House. Oddly enough, neither of us had pancakes that day. I had the most incredible Peaches and Cream Waffles made with fresh, locally grown peaches. To. Die. For. Allison had a heavenly french toast sprinkled with bananas and topped with a creamy caramel syrup. She talked about that french toast for weeks! so much so, that we finally decided we needed to re-create something similar at home. 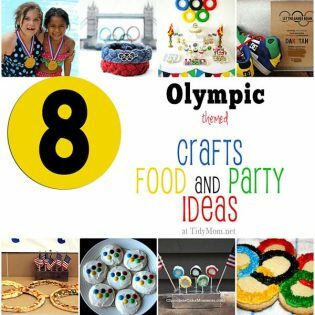 and here’s where I’m going to let you in on a little secret of mine ………. BACON GREASE! That is my secret to mind-blowing french toast. When I was little, my grandma and my mom always kept a jar of bacon grease in the refrigerator. They used it to fry everything. The true meaning to , everything is better with a little bacon! Now that I no longer fry much, I rarely use it, but I still keep a small jar in the fridge for french toast………and the occasional fried potatoes that I rarely let my husband indulge in anymore. Promise me, you’ll try it, at least once. How do you like to eat french toast? My dad always ate his with out syrup, he would just sprinkle a slices with a little powdered sugar and fold it in half and eat it with his hands, like a sandwich. 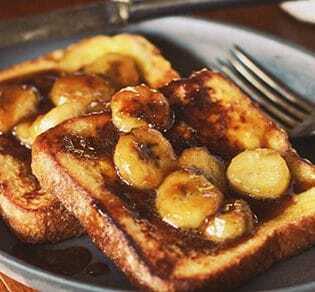 Decadent french toast with homemade caramel sauce and bananas, an easy to make gourmet breakfast you can make at home. To make the French toast, preheat an oven to 350°F. In a large, shallow bowl, whisk together the eggs, milk, orange juice, sugar, vanilla, and salt. Add bread (one slice at a time) to the egg mixture and turn gently to coat evenly. Let stand until the bread has soaked up some of the egg mixture, about 1 minute. 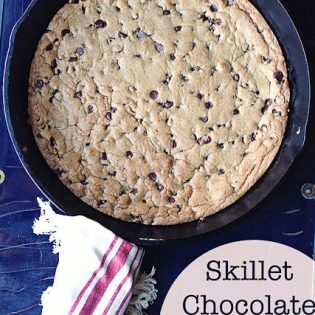 Place a large skillet over medium-high and heat until hot. Add bacon grease to the skillet to melt. Remove the bread from the egg mixture, letting the excess liquid drip back into the bowl, and place bread on the hot skillet. Cook until the bottoms are golden brown, about 2 minutes. Flip and cook the other sides until golden brown, about 2 minutes more. Place the bread on a baking sheet, transfer to the oven and bake until the center of the bread is heated through but still moist, about 10 minutes. 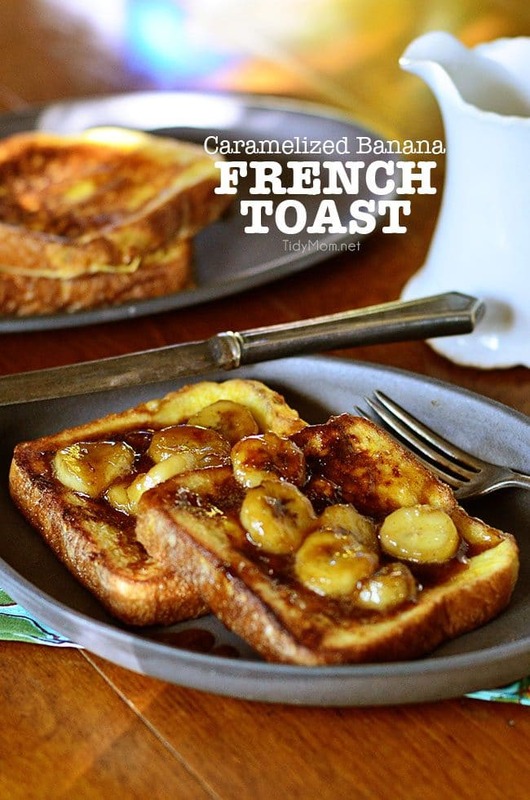 Serve the French Toast piping hot, topped with spoonfuls of the caramelized bananas. Garnish with whipped cream, optional, but highly recommended! you can use butter in place of bacon grease for frying the french toast, but I recommend the bacon grease. Can I have these french toast every morning! Looks delicious! And thanks for sharing your secret… bacon grease! 😉 I would definitely try that! That is one gorgeous plate of French toast! And I will remember the bacon grease tip, for sure.